When Thomas Kerchner married his wife, Sherri, he promised to build her dream home for their retirement years. 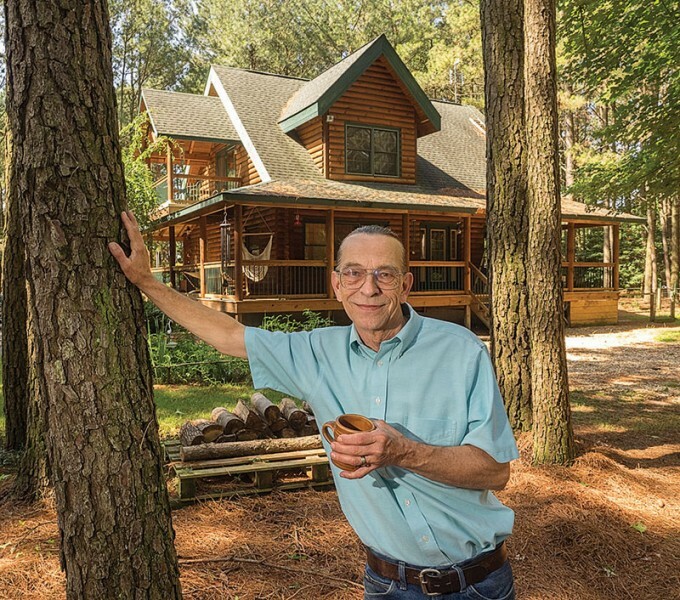 She had always wanted a log home, so they purchased a lot on a back-country road in Princess Anne, Md., and he designed a home perfect for hosting grandchildren and enjoying country breezes. Now, the Kerchners are selling that home. Poultry mega-houses have sprouted in their area where trees used to sway, bringing with them tons of manure, industrial-level traffic and the stench of ammonia. Neighbors point to more than 50 chicken houses within a 3-mile radius of the Backbone Road corridor, off Peggy Neck Road and close to the Manokin River, one of the state’s most polluted. At least 67 more chicken houses are permitted and in various stages of construction in Somerset County. The Kerchners and their neighbors are pushing back, trying to persuade Somerset County to take into account the health and quality of life for residents when considering these operations. In Somerset, as in many other counties, the poultry houses are permitted in residential/agricultural zones. In contrast to an industrial operation like a rendering plant, these poultry houses can sit next to homes. And unlike a farm with grain and corn crops, they can sit on just a few acres. The poultry industry is changing rapidly — not just on the Delmarva Peninsula, which was home to 565 million birds in 2013. In Arkansas, chicken companies are talking about building double-decker chicken houses, which can accommodate twice as many birds as the houses currently do. Most houses on Delmarva house at least 20,000 birds in a flock. With the birds staying for their six-week growing period, that can be close to 200,000 chickens cycling through a house in a single year. A demand for cheap chicken is pushing the poultry companies on the Eastern Shore to move to larger houses on smaller lots. One chicken farmer described a scenario where, if he built six houses, the company would build a seventh for free. The mega-houses in Princess Anne are also coming to Accomac County in Virginia and Sussex County in Delaware. The industry contracted, with several companies going out of business in 2010, but it appears to have bounced back. In Maryland, 35 percent of the cash income from farms came from meat chickens in 2013. The state ranked eighth nationwide for production, with 1,617,600 pounds, according to the Delmarva Poultry Industry. There is also the matter of what to do with the manure generated by the big houses. Soils in Somerset County are saturated with phosphorus, and poultry manure contains the mineral, meaning in most cases it can’t be spread on nearby fields. The newly approved phosphorus management tool that guides manure application will prohibit that. That means the manure must be stored until another, environmentally safe, use can be found. The state requires permitted manure storage facilities for these houses, but storage can leave manure vulnerable to washing into streams if improperly covered. On Palmetto Church Road, just a few blocks from the Cultone’s home, dozens of chicken houses surround five single-family homes. Linda says when she walks her dog at night, she can see the dust from the chicken fans. On a winter day, the ammonia in the air was pungent. No one had their windows open, and no one was outside. About a mile away from the road is a daycare center. It sits near a ditch which drains from the new operations.